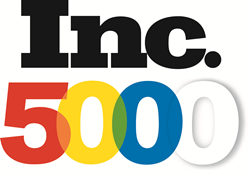 KORE1 is proud to announce that it has been named to the 2015 Inc. 5000 list of Fastest Growing Private U.S. Companies. KORE1 is a top provider of IT services and solutions to the Southern California area. Being named to the Inc 5000 list is a testament to KORE1’s mission and values. KORE1, a top provider of IT services and solutions in the Southern California area, is proud to announce that it has yet again been named to the 2015 Inc. 5000 list of Fastest Growing Private U.S. Companies.This marks the third time that KORE1 has been featured on the prestigious list. KORE1 has officially earned the 1,156th spot on the Inc. 5000 list and has grown over 365% over a three-year period. The entire 2015 Inc. 5000 list is available online for review, providing full details on all of this year’s recipients. For more information on KORE1 and how its full spectrum of solutions can help your business, visit http://www.kore1.com. KORE1 is a nationwide recruiting and staffing firm, focusing on delivering cost-effective business solutions to meet your evolving workforce needs. Our staffing solutions are highly flexible, with options spanning both on-site and off- site teams on a Contract, Contract-to-Hire, or Direct Hire basis. We also offer Payroll Services to help alleviate the burden of back office administration. When you need a highly competent recruiting partner to provide unparalleled staffing solutions, thought leadership, and consistent delivery results, KORE1 can help you achieve your business objectives.